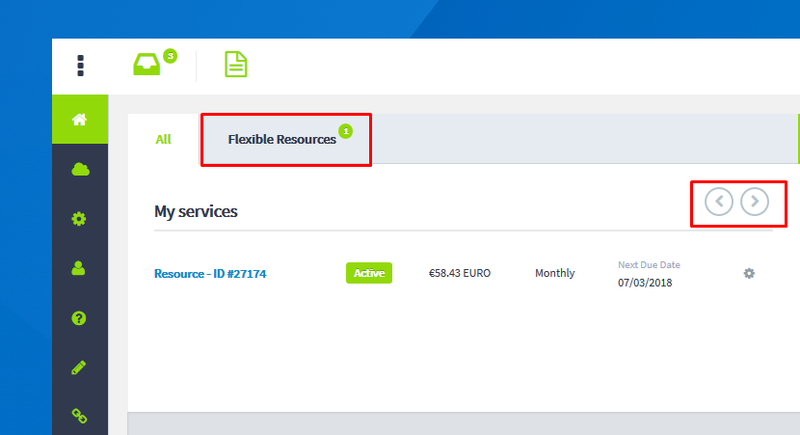 Your services will be listed here, you can scroll through the pages using the left/right icons in the top-right, or flick between services using the available tabs. Here you can see how much credit you have on your account (green), how much is currently awaiting payment (red) and below, the number of tickets open and closed. 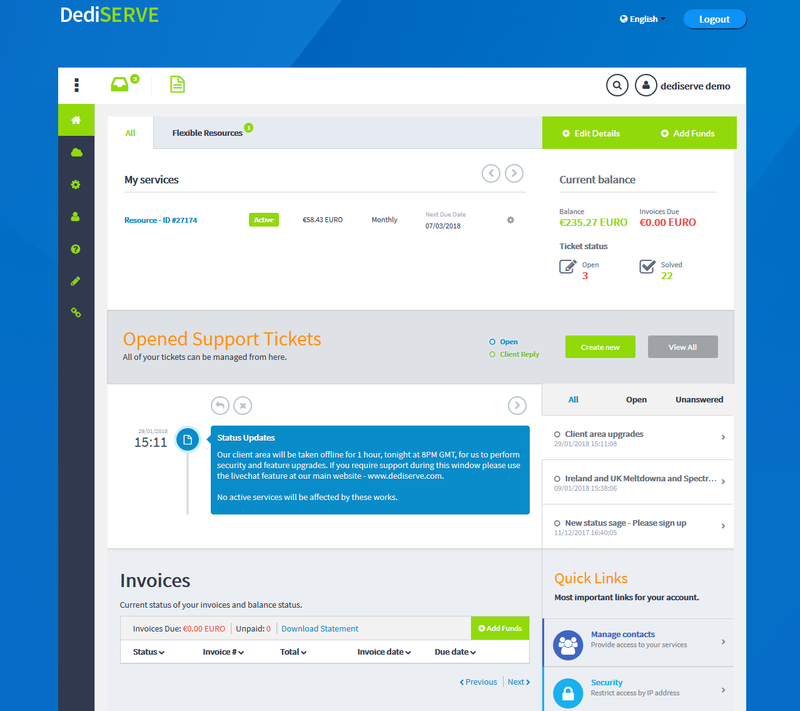 Here you can open a new support ticket, view all tickets as well as gain quick access to the most recent tickets and their latest replies. For a full guide on using our support tickets, please see our ticket guide. 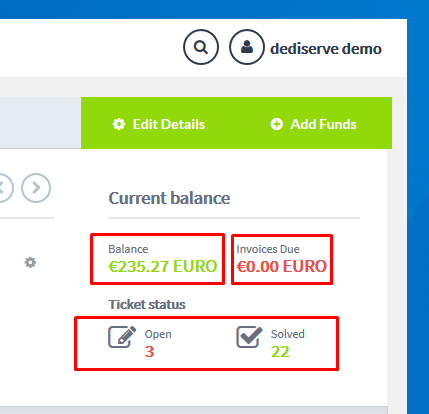 In our invoices widget all invoice that require payment will be listed, you can click on the invoice name to make payment, download an account statement or add funds to your account using the links provided. 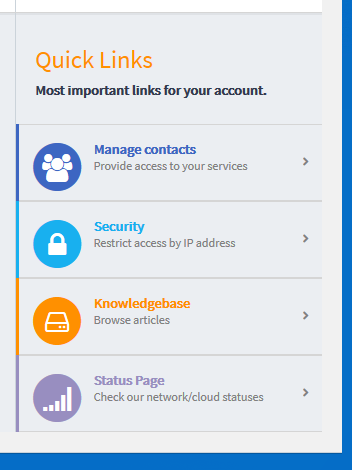 From the quick links you can access account management, security, knowledgebase and out statuspage.